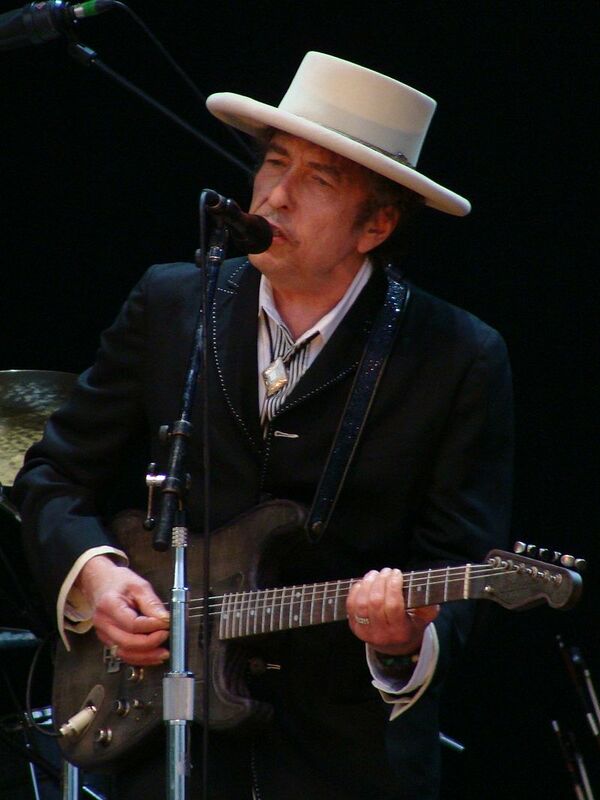 Bob Dylan performs in Spain in 2010. Image WIkimedia. On October 4, 2016, the Swedish Academy announced that singer/songwriter Bob Dylan would receive the Nobel Prize in literature. The New York Times hailed him as the “poet laureate of the rock era,” while Stephen King, award-winning novelist, completely supported the selection committee’s decision. King praised the timeless and profound nature of Dylan’s wordsmithing, representing themes like love, aging, and pain. He’s not surprised that Dylan’s songs resonate with multiple generations and neither am I. Speaking of poets who perform their words with music, and poetic lyrics which have transcribed generations, I can’t help but think of Dylan as a modern-day troubadour. Most medievalists recognize Duke William IX of Aquitaine, Count of Poitiers, as the first troubadour with surviving material. Orderic Vitalis, among other medieval scribes, refer to the Poitevan duke’s wit, vocabulary, and sauciness. William (1071-1126) was a major player in European politics and his influence was far-reaching between his various enterprises and his various children. His granddaughter, Eleanor of Aquitaine, French and English Queen, is one of the most notorious but most of his family members were movers and shakers. Their family’s enthusiasm for music in the palace was picked up across the Crusades-era Europe, spreading the musical poetry of troubadours, trouveres, minnesingers, jongleurs, and minstrels across the continent. What began in France spread to Spain, Italy, England, and Germany. Taking her business by the reins. Triptych with Scenes from the Life of St. George, c.1425, School of Aragon, Spain. Los Angeles County Museum of Art. William was a leader in promoting a courtly lifestyle and his poems discuss noble behavior like the interaction between men and women, knights’ behavior, leadership, and love. Prior to the songs of the troubadour, women were rarely included as main characters and most literature could be classified as “action adventure.” In the late 11th century, there was a change in women’s status. The Marian cults were growing, women were idealized and admired, it became “manly” to be in love, and women were even celebrated as poets and authors! The 12th century and later saw a relative explosion of advice books and manuals on how to dress, speak, ride, sing, dance, and fight. This literary growth represented a cultural shift. Not only was there an increased production of secular literature, but also an amplification of recording behavior patterns. There is no doubt that humans have formed and lived by cultural mores since our evolution, but the Middle Ages marked an awareness of the rituals and notarizing of the details. This inclusion of common emotions appealed to the medieval audience, much like Dylan’s fusion of electric instruments with traditional folk songs. show the central role of love, so strong that it is almost another character. It also highlights the role of gardens and natural elements. Flowers, trees, soil, and animals are prominently featured in troubadour songs, showing a connection to the natural environment and a simple way of life. Obviously, medieval populations responded positively to these themes, much like the 20th century population responded to Dylan’s simplistic folk music and lyrics reminiscent of a different lifestyle. No problems with writer’s block here. The Author in his Study, c.1530-40, Simon Bening, , Flanders. The J. Paul Getty Museum. The garden setting and his heart heavy with an unspoken love are motifs commonly heard in medieval poetry and song lyrics. The physical setting is compared beautifully to the intangible emotion. Here’s another example; can you tell if this is medieval or modern? John Donne’s 16th century verses try to grasp at the temporary nature of life, and the journey of each individual. While composed a few years after William’s love letters and a bit more abstract, he’s clearly still in the same tradition. Whether it’s 500 years old or 50, poetry and music resonate with us. If you like Bob Dylan and want to hear more of his medieval counterparts, check out these additional resources.